Though the two terms are often used interchangeably, customer service and customer experience are not the same thing, Forrester Research asserts in a new report. Rather, customer service, the firm says, is a strong driver of great overall customer experiences. “It’s important to define customer service and how it differs from customer experience (CX). There is still a lot of confusion around this, especially in organizations that are just starting to focus on CX,” says Riccardo Pasto, senior analyst serving customer experience professionals at Forrester and primary author of the report. In the report, Pasto identifies a number of other very common customer service pitfalls and how savvy CX pros overcome them. The first pitfall is failing to link customer service efforts to a well-defined CX strategy. The report asserts that many organizations fail to define a clear role for customer service, resulting in poor decisions around funding and prioritization. To ameliorate this, the report suggests developing a vision for the customer service experience and the purpose of customer service in the context of the larger CX strategy. The report identifies Chinese retailer JD.com as one company that is doing this well: It strives to provide the country’s best delivery, return process, and customer service. The second pitfall is delivering customer service experiences that are siloed and disjointed. The report says that many organizations are struggling to meet customers’ needs in context and in a timely manner, forcing them to switch between channels to meet their goals. Successful organizations use technology to reduce friction in customer journeys, the report points out, turning to Metro Bank in the United Kingdom as one company that has gotten it right: Metro uses an integrated CRM and knowledge base system to seamlessly hand off interactions between service agents. The third pitfall is attempting to delight customers solely with rational elements of CX quality. More specifically, the report asserts that when organizations rely too heavily on digital and self-service to deliver experiences, CX professionals might have difficulty forging emotional bonds with customers. The report notes that companies with reputations for great service work to forge emotional bonds with their customers, which results in brand advocacy. It cites the New Zealand Qualifications Authority as an example: The organization uses customer journey and empathy maps to determine the cause and effect of customer calls with an eye on helping service agents understand how to provide more emotionally engaging experiences. The fourth pitfall is underequipping employees with inadequate tools. According to the report, organizations often struggle with siloed data and insights, forcing agents to navigate multiple systems to answer even the most basic questions. To solve this, the report suggests empowering employees by creating workplaces that make them more informed and agile. It cites Humana and MetLife as examples of companies that do this: They use Cogito’s behavioral analytics software to detect emotions in customers’ voices and provide contact center agents with behavioral cues to help them build rapport with customers. The fifth pitfall is using the wrong metrics to track customer service outcomes. The report asserts that although many organizations acknowledge the importance of customer service, few are willing to alter employee metrics to reward the right behaviors in a customer-first culture. To resolve this, the report suggests building key performance indicators that reinforce the right behaviors for customer-facing employees. It goes on to say that service organizations that foster customer-first cultures prioritize customer-centric KPIs. It cites Medical Mutual as an example—the company switched from contact center metrics such as average handle time to first contact resolution and customer satisfaction to ensure that customers were receiving the answers they needed in the first interaction and were not forced to jump between channels. 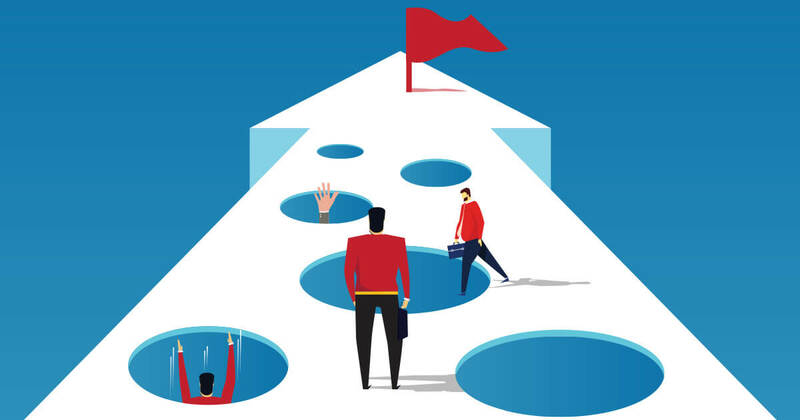 The sixth pitfall is failing to inform business decisions and drive cultural change. More specifically, the report says that many organizations are sitting on a myriad of unused qualitative data because they lack a systematic approach for collecting unstructured and unsolicited customer feedback. To resolve this, the report suggests disseminating customer insights across the organization. It cites American Express as an example—the company crowdsources CX improvement ideas directly from customer service agents.